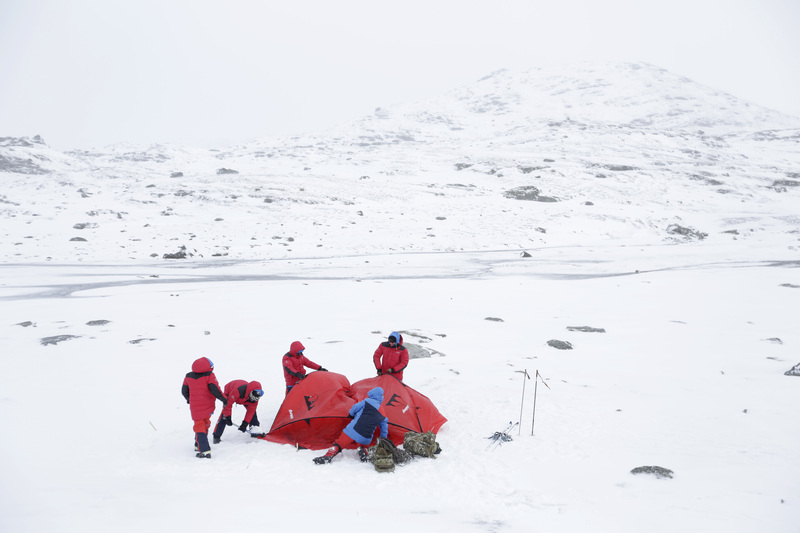 Members of expedition Cpt Adam Crookshank, Cpl Robbie Harmer and L Cpl Nick Webb, organiser Justin Packshaw (ex Royal Dragoon Guards) and explorer David Hempleman-Adams are training in Finse, Norway for their walk to the South Pole. The expedition is following in the legendary footsteps of Robert Falcon Scott and Lawrence Oates, a century on from the their trek to the South Pole. The team will walk the last two degrees, or 140 miles, to the Geographic South Pole, dragging all their equipment on sleds, as Scott and Oates did. Central to the Expedition is the participation of three soldiers from Captain Oates’ old regiment, the Royal Dragoon Guards, all of whom have sustained wounds while on active service in Afghanistan. The Expedition is raising funds for two causes: Alzheimer’s Research UK and Walking With The Wounded.